Have you considered installing water softeners in your home? In Florida and the surrounding areas, the natural supply of water contains various minerals that make water hard. With a water softener installed, you can have complete peace of mind that potentially damaging minerals (for your appliances and pipes) are removed. What minerals found in water make it hard? The mineral content in water that makes it hard are magnesium carbonate, manganese and calcium. How can a water softener benefit me? Less scale build up in pipes, faucets, showers and similar. No scum on the bath tub or shower to have to scrub at. Less wear and tear on your appliances (dish washers, washing machines etc). Why is salt added to water softeners? Salt ions attract hard minerals and deposit them on the softening systems resin. Simply put, the salt ions will replace the mineral ions. Will hard water just affect my pipes and appliances or can it affect me too? Hard water can cause dry skin and irritate eczema. Minerals that dry on the skin can also clog pores or cause the skin to feel dry and tight after showering or bathing. Will soft water feel different to the hard water I am used to? Yes, soft water will feel slightly different. Detergents will also foam easier and last longer as you will need to use less than what you are used to using. Will a water softener improve the safety of my drinking water? While a water softener is a water treatment system, your drinking water must be safe to drink before installing it. A water softener will not make your unsafe drinking water safe to drink. When will the resins in the water softener tank need to be changed? If the water softener is correctly installed and maintained, you may never need to change the resin/filter. Most of these can last for 20+ years. There should also be correct pretreatment before the system is installed. What type of water softener do I need and what size should it be? There are various things that can affect what type and size water softener you need. The type and amount of dissolved minerals in your water will play a role as well as your home’s flow rate (this is based on how many people are in the home using water). 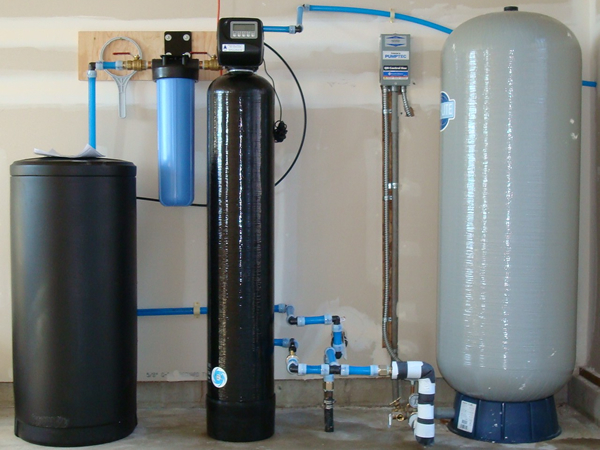 Discussing your needs with a professional in the field will help to determine which type and size of water treatment system is best for your home. How can I determine what is in my water? If your water supply is public, you can contact the offices where you would normally pay your water bill. There should be water testing records on file that are up to date. If you have private supplied water, you will need to have it tested. Home water test kits are a simple and reliable way to find out as well. Can I use a regular plumber to handle my hard water issues? No, you can’t. Testing for hard water and installing water treatment products are special tasks that should only be trusted to the experts in the field.